Meet in the middle with this style that's a combination of both traditional and contemporary elements. Rolled arms and nailheads add sophistication to this piece, while clean lines and a contemporary color scheme keep this loveseat looking chic and fashion-forward. Includes two, flower-printed toss pillows. 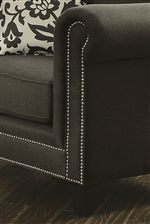 The Emerson Transitional Rolled Arm Loveseat with Pewter Nailheads by Coaster from Nashco Furniture - Nashville. We proudly serve the Nashville, Franklin, Brentwood, Clarksville, Green Hills, Davidson County, Williamson County, Tennessee area. Product availability may vary. Contact us for the most current availability on this product. 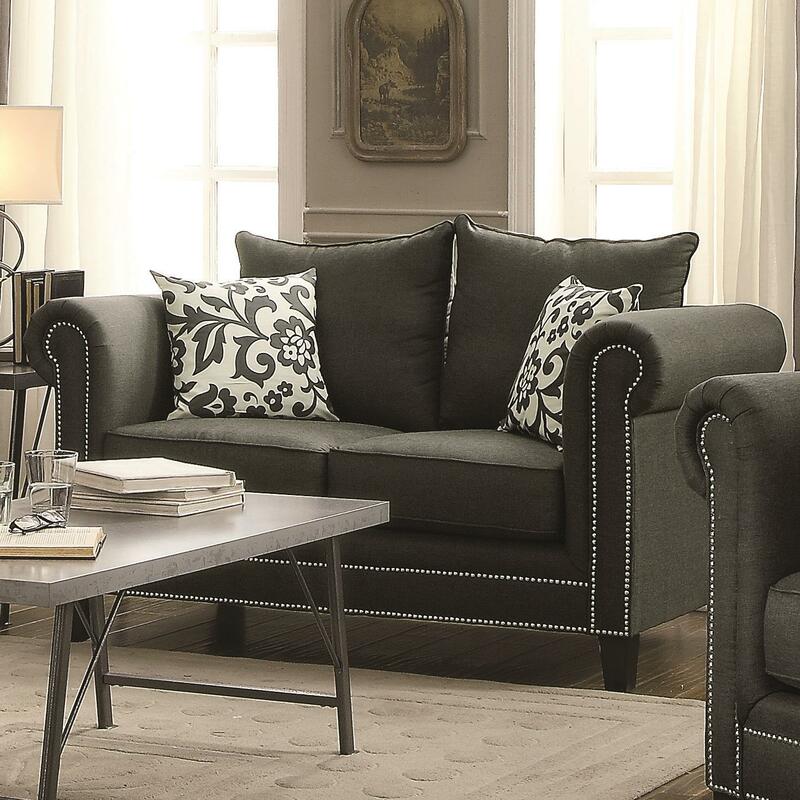 Based off of one of our best-selling traditional sofa groups, the Emerson collection adds clean-rolled arms and pewter nailheads to the mix for a more chic, transitional look. Softening this look and making it casual enough for the whole family to enjoy are a linen-blend body fabric and accenting toss pillows. 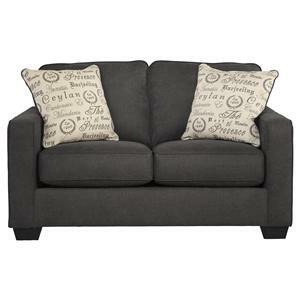 Choose from a sofa, loveseat, or arm chair to create a cozy and fashionable look for your living room. The Emerson collection is a great option if you are looking for Transitional furniture in the Nashville, Franklin, Brentwood, Clarksville, Green Hills, Davidson County, Williamson County, Tennessee area. 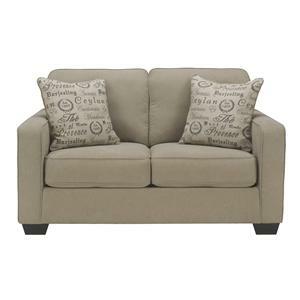 Browse other items in the Emerson collection from Nashco Furniture - Nashville in the Nashville, Franklin, Brentwood, Clarksville, Green Hills, Davidson County, Williamson County, Tennessee area.